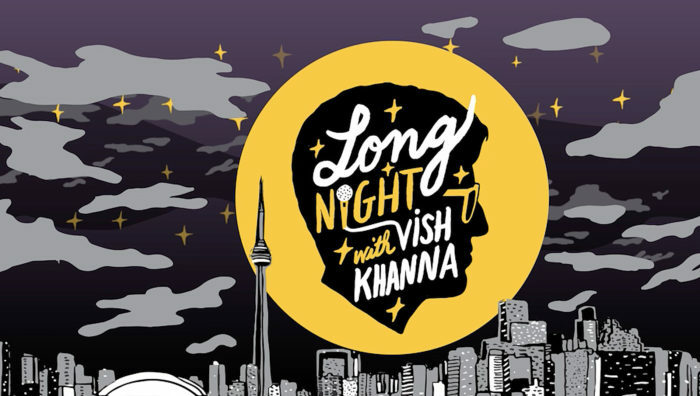 This episode of Long Night with Vish Khanna was recorded at the Great Hall in Toronto, as part of the Long Winter festival on Saturday December 12, 2015. 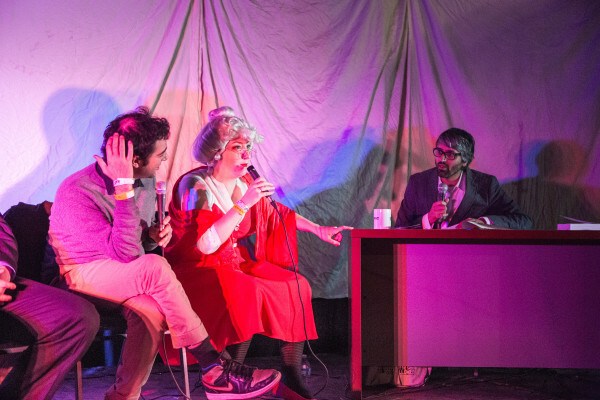 My guests were Casey Mecija, the host of the CBC Radio show The Doc Project, Then and Now – Toronto Nightlife History author and DJ Denise Benson, and comedian Matt O’Brien. With special guest appearances by Hayley Kellett, Nick Flanagan, and Linda Julia Paolucci. My sidekick is James Keast and the Long Night house band is the Bicycles. Recorded by Dave MacKinnon. Produced by Long Winter, Vish Khanna, and Joel Garcia. Sweet people speak on speaking with me sweetly.